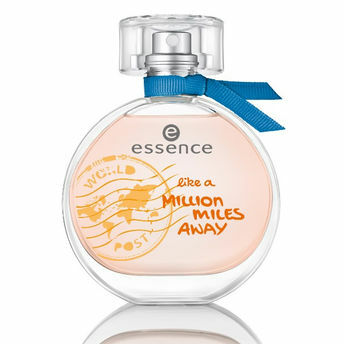 Exotic, wild and daring the Essence Eau De Toilette Like A Million Miles Away perfectly reflects your wanderlust! This fragrance whisks you away to ultra-cool big cities or to other exciting and adventurous destinations. Wherever your travels may take you, this fragrance is sure to remind you of heavenly moments even a million miles. This scent stays for a long time, leaving around subtle hints, as it settles down. The cheerful, fruity notes ensure a great mood. The adorable mini packaging makes it perfect for any travel. Explore the entire range of Perfumes (EDT & EDP) available on Nykaa. Shop more Essence products here.You can browse through the complete world of Essence Perfumes (EDT & EDP) .Alternatively, you can also find many more products from the Essence Eau De Toilette Like A Million Miles Away range.